The Consumer Financial Protection Bureau (CFPB) is suing Navient, the nation’s largest servicer of both federal and private student loans, saying it has failed borrowers at every stage of the repayment process for years. The bureau says that Navient, formerly part of Sallie Mae, created obstacles to repayment by providing bad information, processing payments incorrectly, and failing to act when borrowers complained. Through shortcuts and deception, the company also illegally cheated many struggling borrowers out of their rights to lower repayments, which caused them to pay much more than they had to for their loans, CFPB charged. 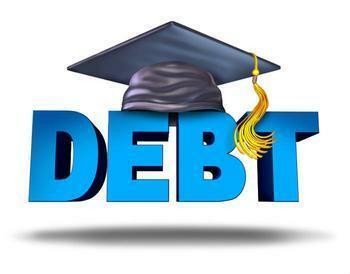 Navient is the largest student loan servicer in the United States. It services the loans of more than 12 million borrowers, including more than 6 million accounts under its contract with the Department of Education. Today's action names Navient Corporation and two of its subsidiaries: Navient Solutions is a division responsible for loan servicing operations; Pioneer Credit Recovery specializes in the collection of defaulted student loans. Servicers manage borrowers’ accounts, process monthly payments, and communicate directly with borrowers. A servicer is often different from the lender, and borrowers typically have no control over which company is assigned to service their loans. In today’s action, the CFPB alleges that Navient has failed to provide the most basic functions of adequate student loan servicing at every stage of repayment for both private and federal loans. Navient provided bad information in writing and over the phone, processed payments incorrectly, and failed to act when borrowers complained about problems. Critically, it systematically made it harder for borrowers to obtain the important right to pay according to what they can afford. Harmed the credit of disabled borrowers, including severely injured veterans. The complaint against Navient Corporation, Navient Solutions, and Pioneer Credit Recovery is available online.